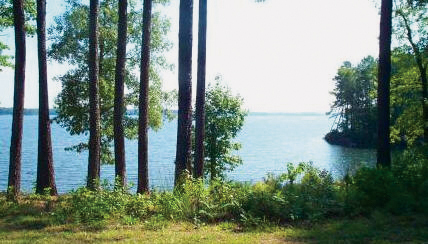 Located on the shores of beautiful Lake Gaston, Lakeside Resort offers some of the finest freshwater activities on the East Coast. Swimming, boating, water-skiing, jet-skiing, and fishing are some of the most popular activities for outdoor enthusiasts. Variety of recreational activities nearby including go-cart track, South Hill Railroad Station Museum and Model Railroad. Clubhouse, swimming pool, boat dock, ramp, rentals, bathhouse, beach area, diving area, game room, general store, lake, laundry facilities, miniature golf, paddleboats, picnic area, playground, sailing area, snack bar, basketball, tennis and volleyball courts, water-skiing area, horseshoes, fishing. Reservations required and may be made up to 60 days in advance through RPI's Central Reservations Office. No reservations accepted during holiday weekends. Rental units require a 2 night minimum and a deposit of first night in advance. No pets in rental units. -Check in is after 3 p.m. Must call for late arrival. -Additional $3/day for 50 amp. -Additional $2.50/day for Family Fun Center. Must cancel within 24 hours. From I-95, take Hwy 46 (Exit 176) west 17 miles to Rte 626. Turn west 2 miles to the resort on right. GPS: 36.560301, -77.685694. Get directions from Google Maps. Linens provided for motel. Must bring linens for park models.